"Dette produkt kan ikke længere leveres." Enten er der her tale om en ældre model, eller vi kan eller vil ikke genbestille produktet hos producenten. 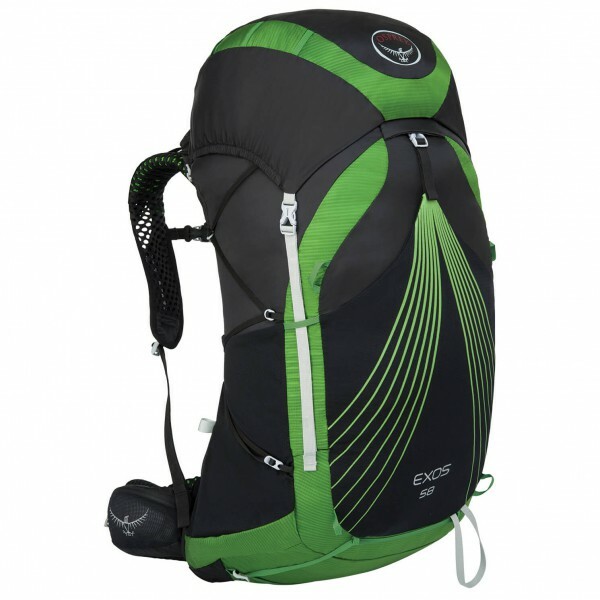 The Exos 58 also features two mesh side pockets for water bottles, two zippered pockets at the waist-belt for any small item you might need on the trail like sunscreen or lip balm, and a front stretch mesh pocket for maps, books, and acompass. It also has straps for a sleeping pad, and you can remove both the sleeping pad straps and the compression straps when you're going super light. There's an attachment loop for an ice tool or two, and a tie-off point for excess gear.